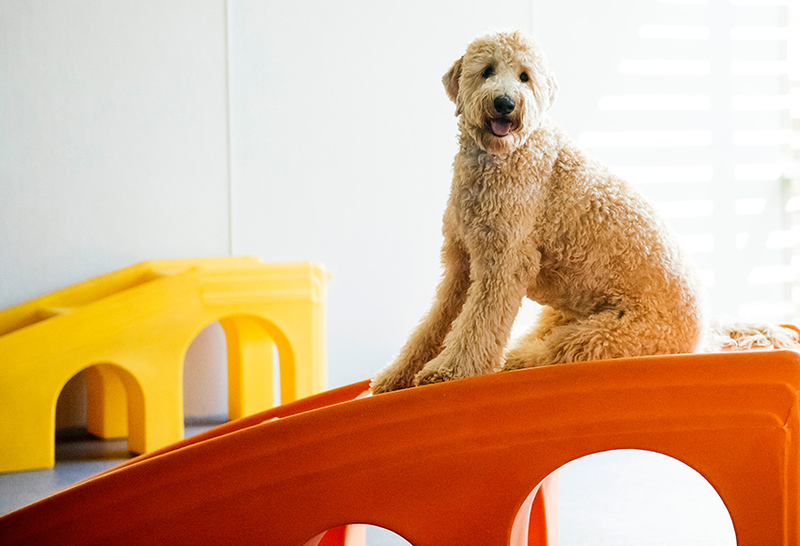 It’s important to take care of your dog when they’re at home until their next visit to our groomers. This can be done through bathing, coat maintenance and nail trimming if you’re able to, but if things get too difficult, it’s best to consult a professional. Bathing should be easy, right? Bathing your pet depends on the kind of dog you have. Our Dogtopia Mississauga groomers recommend short-haired dogs that are also small in size are best with bathing at home. Not only are they more easier to wash, you can towel-dry them. Big dogs, however, might be difficult to bathe. 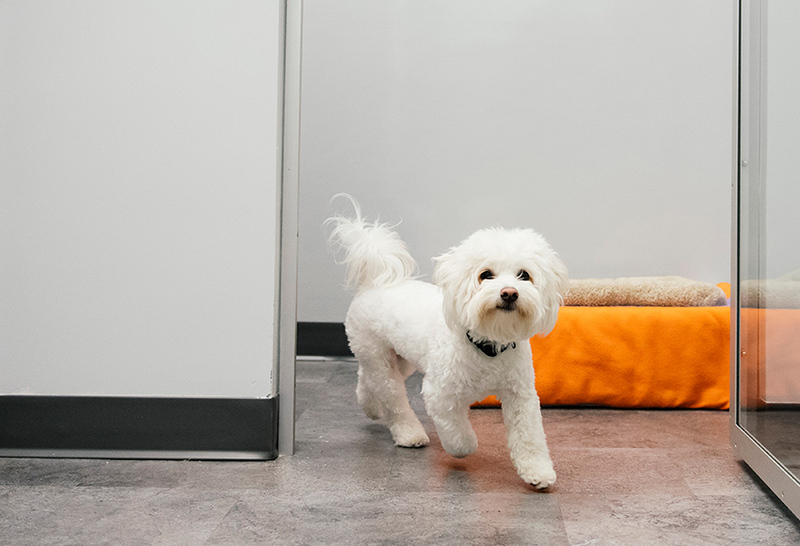 They need more space, and it becomes a safety issue, especially for walk-in baths where there’s not enough room for you and your pet to be in. 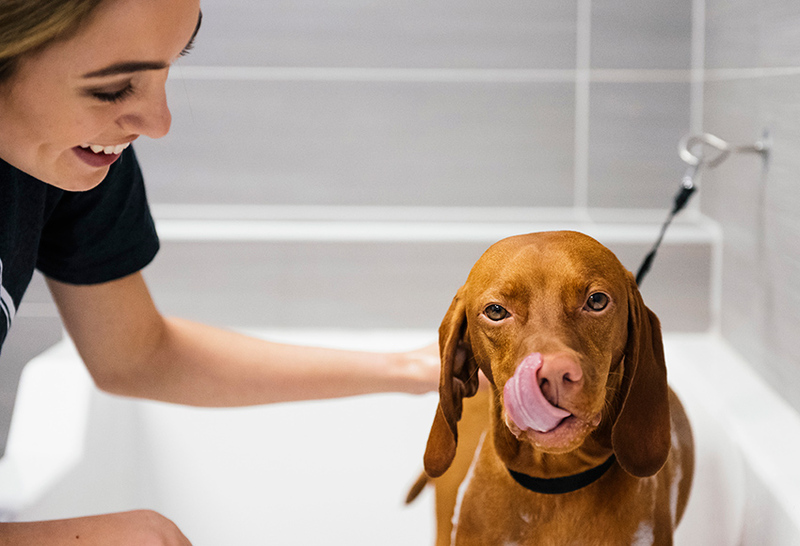 It’s recommended to have rubber bath mats in your tub before starting your bath, but we always have room at our groomer to give your dog the space it needs to get squeaky clean. If you have a long-haired dog, chances are that you know how long it’ll take to dry their fur. To manage their coats, you’ll need to brush the fur before and after a bath. These kinds of coats take time to dry and also will require blowdrying rather than using a towel. If the fur isn’t properly brushed, mats and knots can occur in the dog’s coat and will eventually make it painful for your pet. If your dog has mats in their coats, do not bathe it. 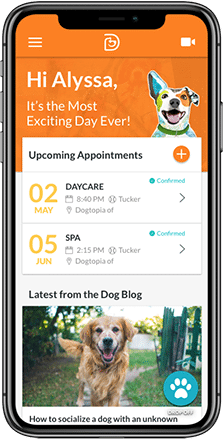 We can help your pet with a trip to our groomers. To maintain their coats, it takes five minutes of brushing a day to keep them knot-free. 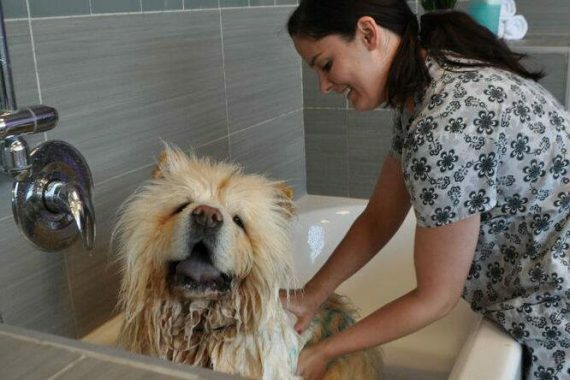 We have the right tools at Dogtopia Mississauga that can help give your dog a bath, totally stress-free and come out looking squeaky clean with that fluffy fur coat. Nails are an important part of a dog’s instinct to dig, but they can get pretty long. With dogs that have white nails, it’s best to leave just a bit of the white before the quick – the “quick” is pink portion of your dog’s nails – so that you won’t strike the nerve and hurt your dog in the process of clipping. For dogs that have black nails, we highly recommend seeking a professional for this, as cutting these kinds of nails can be quite difficult and don’t allow you to see the quick as easily. Watch the Door and Your Dog!